A field of twelve go to post for this years Derby headed by Saxon Warrior a drifter in the market due to his inside draw in stall one and the soft ground after heavy thunderstorms have taken their toll through the week. There are no holes in Saxon Warrior. His four runs have yielded four wins, all authoritative performances. Last August he came from the rear in his maiden to win in a matter of strides annihilating the opposition on yielding ground. 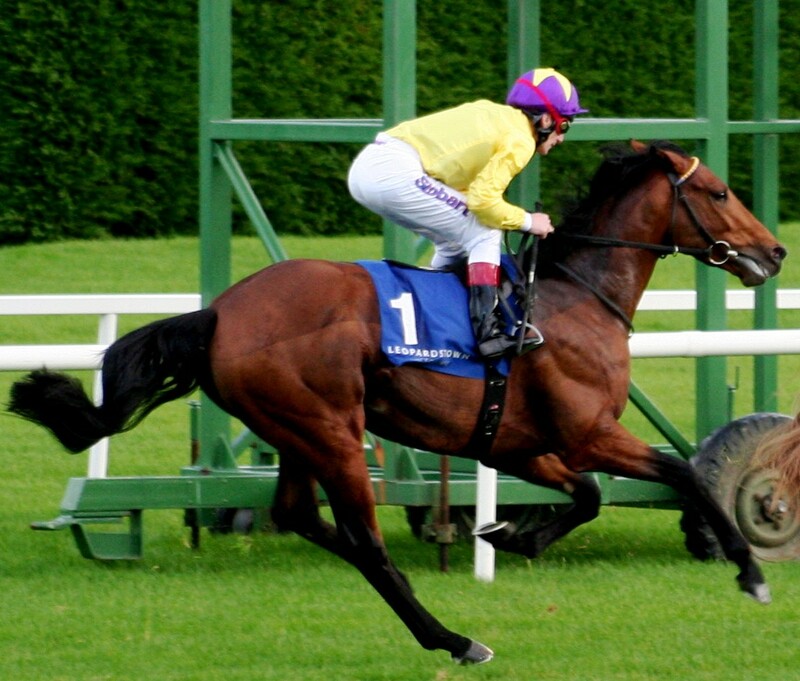 In September he stepped up in class and easily won the Beresford Stakes from Delano Rossevelt on soft ground. In October he had his toughest test in the Racing Post Trophy where he won a neck from a battling Roaring Loin on good to soft ground. It was a proper test Roaring Loin headed him in the last furlong but Saxon Warrior just put the head down drawing away at the line. Game over. On return at Newmarket after a winter where he strengthened up he was a very easy winner of the 2000 Guineas on good ground with Masar back in third and Roaring Loin back in fifth. Donnacha O’Brien got the ride with Ryan Moore in America and although he got a little excited lighting the touch-paper a tad too soon he was sitting on a beast that soon took off and again in a matter of strides it was all over. 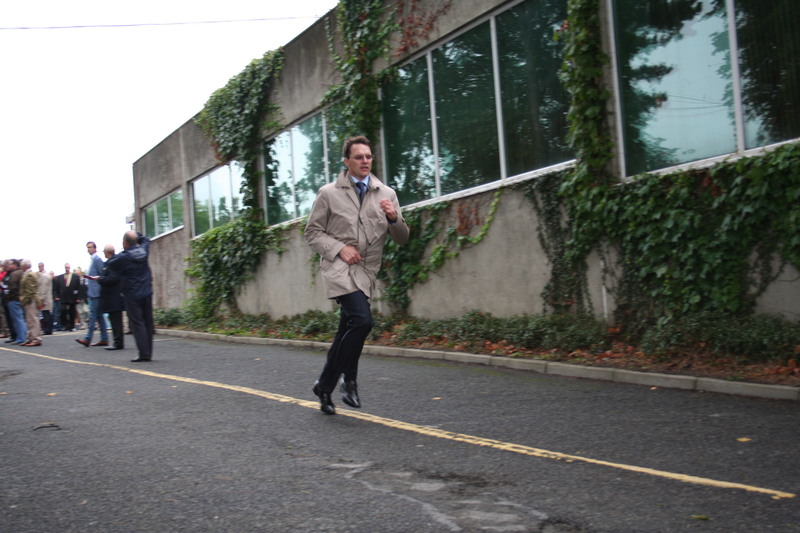 The fact that he could win so easily over a mile was telling. He’s bred for middle distances. Aidan won’t rely solely on him and he’s accompanied by Kew Gardens, Delano Rossevelt, The Pentagon and Zabriskie. Zabriskie put in a much improved performance behind Roaring Lion in The Dante albeit to run well for third. There was no coping with the winner who put in a very classy display. He certainly advertised the form of the Guineas very well. Masar put in an exciting performance in the Craven in April winning it by 9L which led him to go off favourite for the 2000 Guineas. He ran a good race to be third behind Saxon Warrior beaten a head for second by Tip To Win. His form has received a significant boost at the Curragh on Saturday when Romanised won the Irish 2ooo Guineas as he had that colt 2L behind at Sandown in the Solario Stakes last September. He then went to France where he was beaten by Happily and Olmedo in the Jean-Luc Lagardere. That form also stands up with Happily running third in the Irish 1000 Guineas on Sunday and Olmedo winning the French 2000 Guineas a couple of weeks earlier. Young Rascal was a comfortable winner of a maiden at Newbury in April and then went on to take the Chester Vase by a 1/2L from Dee Ex Bee with Aidan O’Brien’s favourite Hunting Horn back in third. The latter didn’t get a seat on the bus to Epsom. Harry Dunlop’s Knight To Behold has a similar profile having won a maiden last October he came back this year to win the Lingfield Derby Trial where he beat the favourite, Aidan O’Brien’s Kew Gardens, who did get a seat on the bus. Sevenna Star from the John Gosden yard won a Winsor Novice Stakes by 14L on heavy ground in April and then took the Sandown Classic Trial beating Ispolini and Hunting Horn yet Frankie Dettori has abandoned him in favour of Dermot Weld’s Hazapour. 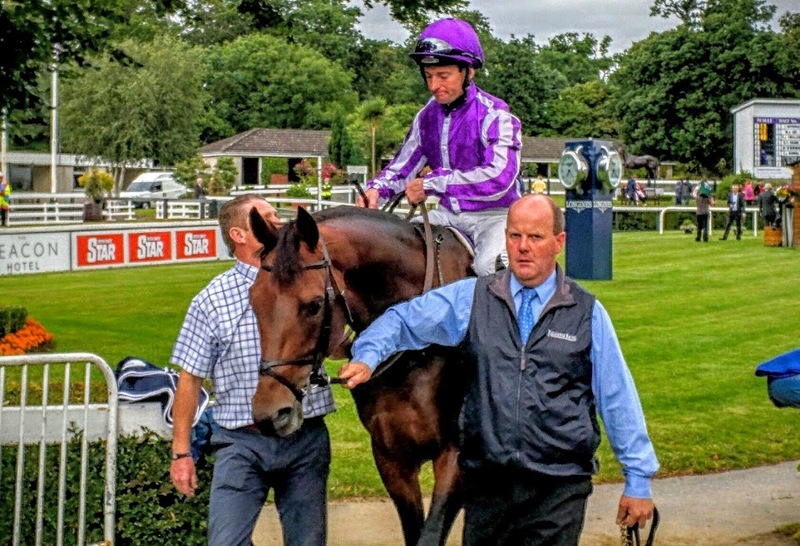 He has largely come out of the pack after his win in the Derrinstown Stud Derby Trial where he beat Delano Rossevelt and The Pentagon in a bunch finish. The Pentagon went off favourite and was slightly disappointing. He couldn’t quicken from a good position whereas Delano Rossevelt found the pace a bit hot early on but he did quicken and stretch however Hazapour had got first run and got there. Over an extra two furlongs you could see the result reversed. The Guineas is the best trial for the Derby. Saxon Warrior was a really good winner of it. He’s bred for this though, by Deep Impact out of a Galileo mare, Maybe, who was trained at Ballydoyle, he reminds you of Sea The Stars who did the double in 2009. He was a real middle distance horse yet capable of winning over a mile at the highest level. 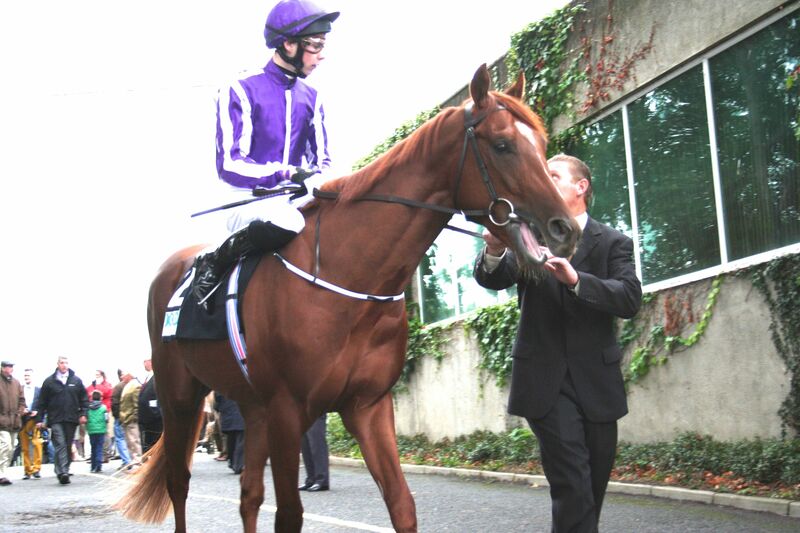 Sea The Stars went on to do even greater things after Epsom and you can see Saxon Warrior doing the same. Delano Rossevelt could follow him home with Masar best of the rest. Epsom today. Picture courtesy of Alan Crowhurst and Getty Images. On a grey day today victory in the Oaks went to Frankie Dettori. It will surely ignite the Derby tomorrow and push Cracksman into outright favouritism over Cliffs Of Moher who are joint 4/1 favourites presently. Cracksman is trained by John Gosden who gave Frankie the leg up on the Oaks winner Enable this afternoon. He is owed by Anthony Oppenhiemer thereby reuniting the same team that was responsible for Golden Horn two years ago. There will be a rage of confidence come post time but will it be justified? He established his Derby credentials by winning the Investec Derby Trial here a short head from Permian at the end of April. He only had the one run before that when taking a maiden last October at Newmarket. The plan was to run in the Dante but the ground came up soft and John bypassed the race instead giving him a blow out again here at the course at Breakfast For The Stars. Permian trained by Mark Johnston is available at 10/1. He won the Dante franking the form for Cracksman beating Godolphin’s Benbati. He was building on the success he had at Listed level two weeks earlier at Newmarket, the week after his clash with Cracksman at Epsom. He’s a very different type than Cracksman. He’s improved no end and is typical of a Mark Johnston trained horse. Hard as nails he can take plenty of visits to the track and this will be his eleventh start. Eminent was fancied for the Guineas on the back of his Craven win. He’d been put away after his two year old winning debut. At Newmarket he ran sixth, he didn’t have the gears to go with the pace over a mile and its questionable being by Frankel if he’ll have the stamina to see out the mile and half here. There’s not a lot between the Godolphin pair Dubai Thunder and Best Solution in the betting. Both are trading around 12/1 and both are trained by Saeed Bin Suroor. Dubai Thunder is the least experienced runner in the race having only had the one previous outing. He took a Newbury maiden fifteen days ago by 10L blitzing the field. The manner of his victory was highly impressive but what he beat is questionable in terms of this challenge. Lammtarra did win the Derby in 1995 for Godolphin after having just the one run. Incidentally that was at Newbury also. He then went on to run in two more races winning both the King George and Arc. Is Dubai Thunder another Lammtarra? Best Solution is certainly not but he did come good in the Lingfield Derby Trial where he beat Glencadam Glory by 3 1/2L That was suggestive that his second at Group 1 level last year behind Waidgest in the Criterium de Saint-Cloud was no fluke. If the thunderstorms persist and the rain gets into the ground he’ll no doubt shorten up. 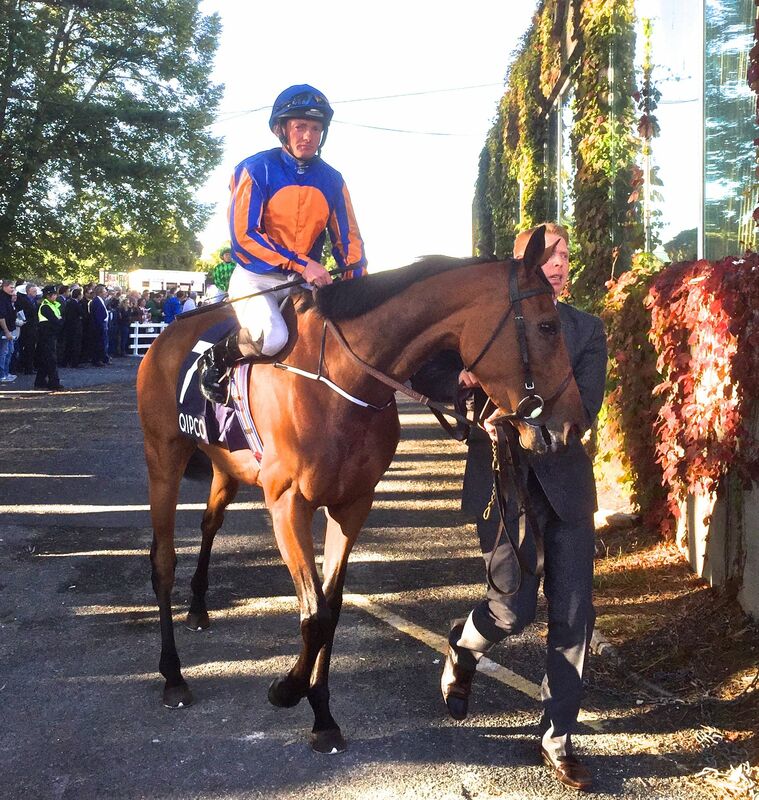 As well as Cliffs Of Moher Aidan O’Brien sends five more and his son Joseph sends one, Rekindling. He was a surprise winner of the Ballysax Stakes which Harzand won on route to glory last year before running third in the Dante. 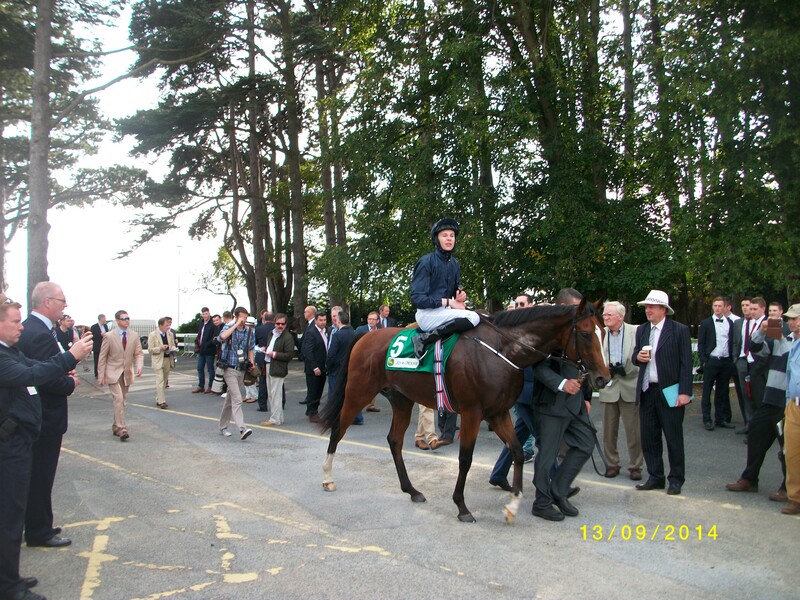 In the Ballysax he beat his father’s Douglas Macarthur who then went on to win the Derrinstown Derby Trial at Leopardstown, also won by Harzand before Epsom last year. Capri was a head and a short head back in third. 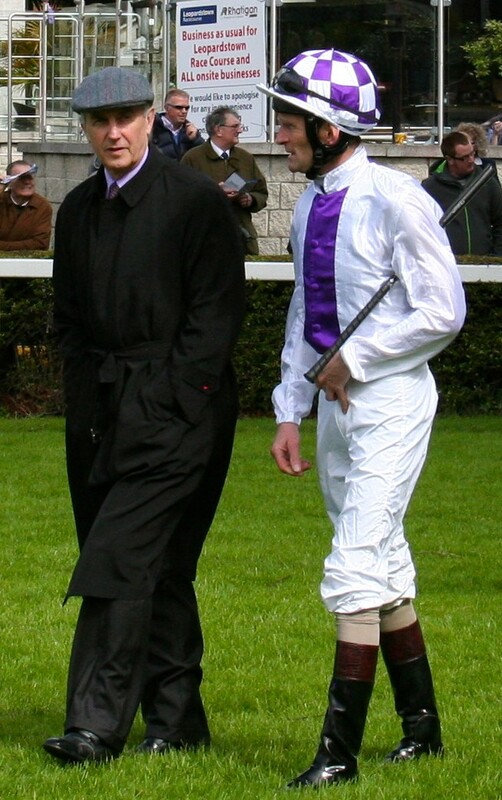 Seamie Heffernan who rides him tomorrow holds the grey in high esteem and the money came for him this week backed in from big prices to 12/1 just like it did for Winter before she won the Guineas. Venice Beech was in the end a comfortable winner from his stable companion Wings Of Eagles in the Chester Vase with The Anvil staying on to be third . Venice Beech had the run of the race unlike Wings Of Eagles (making his seasonal debut) who had a lot more to do and in the end it was the second horse who looked the more interesting Derby prospect. Cliffs Of Moher has been favourite since his Dee Stakes win at Chester. He was the talking horse before the race as a hot Derby prospect. He won but in workmanlike fashion. You could see there was an engine there but it wasn’t fully tuned. Tomorrow it will be but will it be good enough to win this Derby? It’s open, wide open. Cracksman and Cliffs Of Moher haven’t shown a deadly turn of foot yet. The unexposed Dubai Thunder could be anything. Wings Of Eagles has shown a glimpse of potential as did Best Solution. The Guineas is the best trial of all but Churchill isn’t here and Eminent was a fair bit back in sixth. In all the trials have been inconclusive and haven’t produced an outstanding candidate. 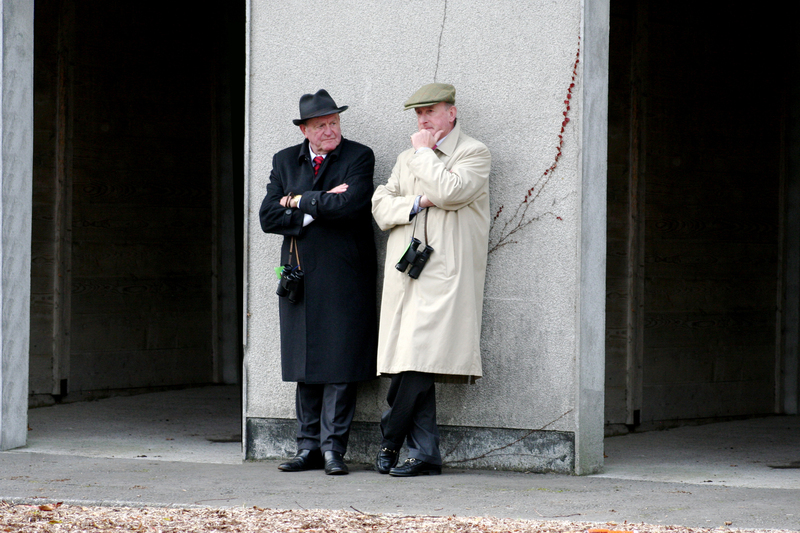 The Ballsax and the Derrinstown races proved the most reliable last year and they could again be the yardstick. If so added with the weight of money that came this week the dial points towards another grey day in the shape of Capri. What’s sets the Derby apart and makes it such an appealing race is what it demands of a young three-year old. The first requirement is to handle the preliminaries. The noise and build up affects animals more than it does the humans. It’s easy to boil over especially on a hot day. Then they have to go out on the course. Epsom is a horseshoe-shaped track with Tattenham Corner being the final bend 4 1/2 f from home. It’s a steep downhill track with an uphill finish with a pronounced camber which drags them into the rail. Tough. It finds them out, those how don’t stay run out of petrol before the line comes. Add ground, which by post time, will still include the word soft in places. 16 line up this year in an open year with no colt having stamped his authority over the trials. Wing Of Desire leads the market on the back of his Dante win where he beat Deauville a neck. It’s the same path worn by his trainer and jockey who last year combined with Golden Horn to lift the blue riband. He did it well always holding the challenge of Deauville. Like Jack Hobbs his maiden was won on the all weather at Wolverhampton 10 days after his racecourse debut where he ran third to Winning Story. He’s one of four to be supplemented. Ballydoyle throw 5 at the target. The ante post favourite for the the last few months has been US Army Ranger. 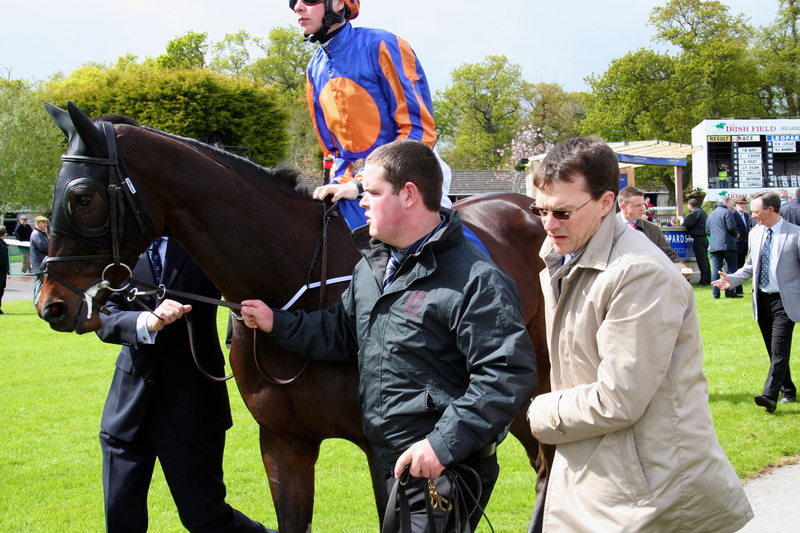 He’s been the Ballydoyle talking horse this spring. 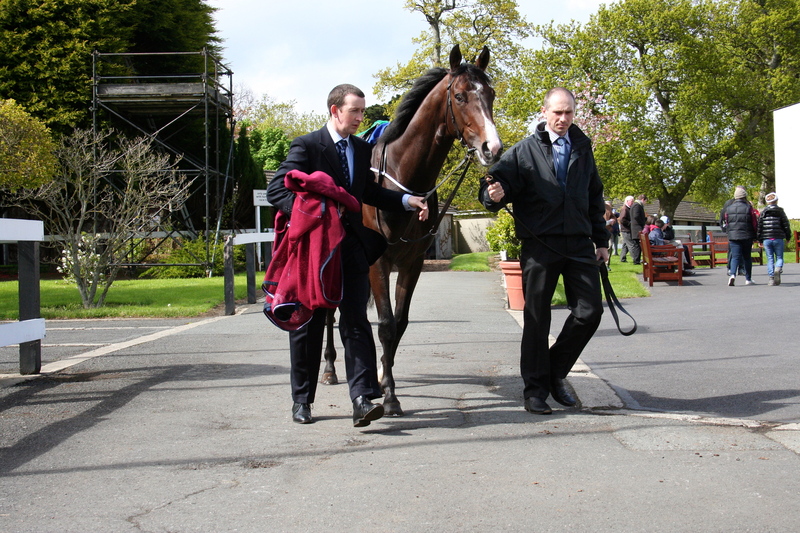 He won his maiden readily in April and then went to Chester for the Vase. Disappointment filled the air after his victory when in receipt of weight he just got home a short head from stablemate Port Douglas. People forget that as a juvenile Port Douglas won the Beresford Stakes at the Curragh last year hence the penalty he carried into the Vase. Godolphin have supplemented Cloth Of Stars. Andre Farbe’s Prix Greffulhe winner beat Robin Of Navan (whom had beaten him twice as a juvenile) comfortably on good ground at Saint Cloud. 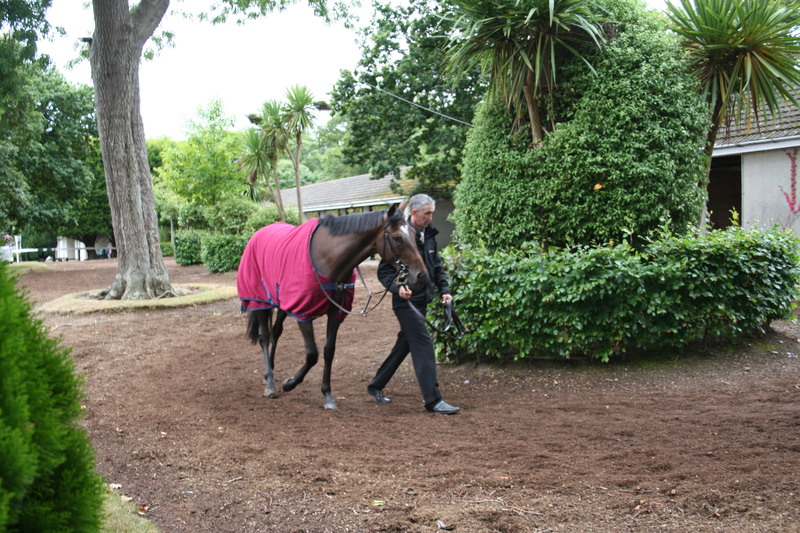 He then like Pour Mio came to Epsom for breakfast with the stars where connections expressed their enthusiasm in a similar manner to 2011. Godolphin’s other representative is Jim Bolger’s Derrinstown Derby Trial winner Moonlight Magic who had a convincing win over Shogun, Idaho and Beacon Rock. 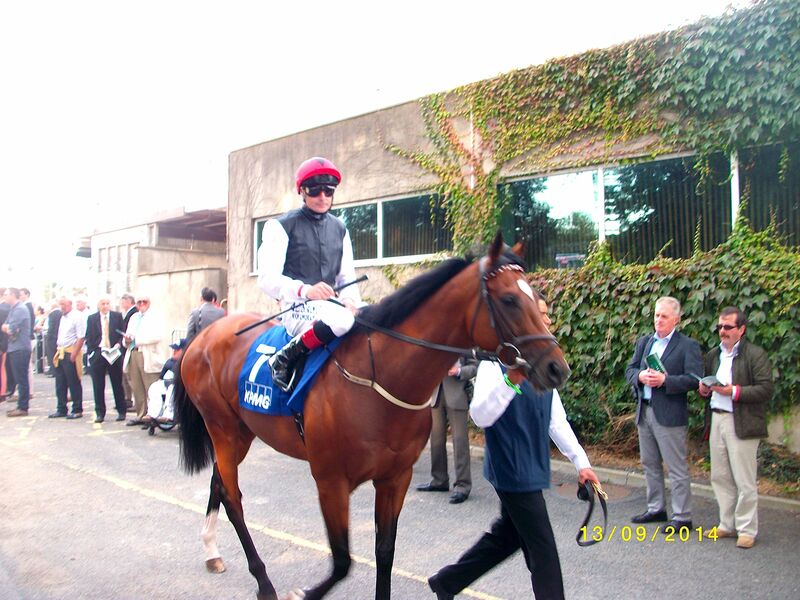 The form got a subsequent boost when the latter took Gallinule over Irish Guineas weekend. The Ed Dunlop inmate Red Verdon has put in two good performances in handicap company over this 12f trip, enough to tempt his owners to stumped up the £75,000 supplementary fee. Humphrey Bogart owners also took the plunge encouraged by their colts second to So Mi Dar in the Epsom Derby Trial followed up by winning the Lingfield version. Massaat brings the Newmarket Guineas form to the party. 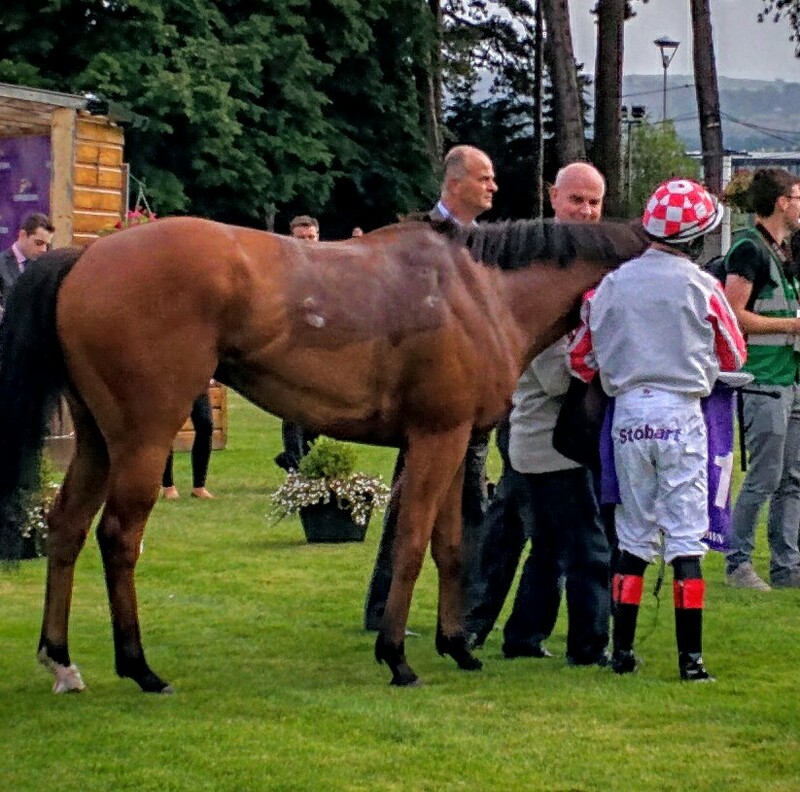 Owen Burrows colt ran second to Galileo Gold in a quick run Guineas and is very tempting at 16/1. 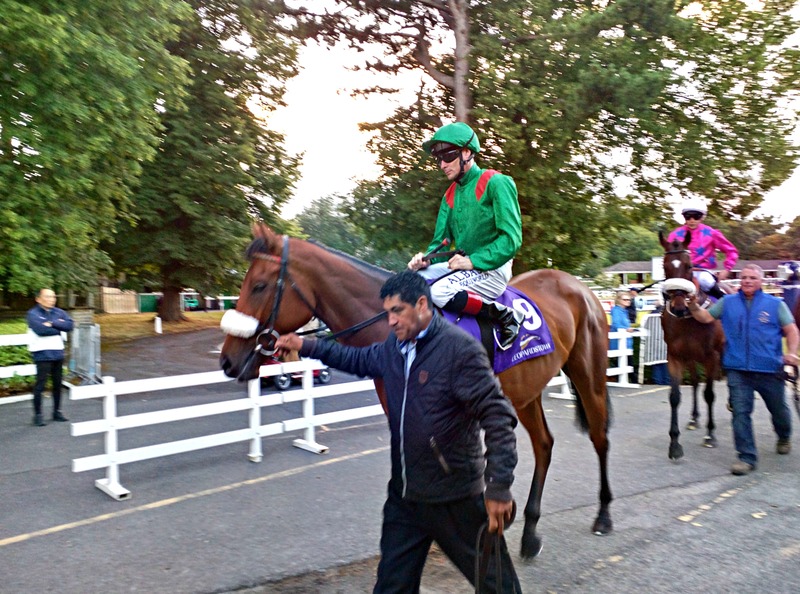 Dermot Weld has put Harzand away since he took the Ballysax in early April where he got the better of Idaho by a 1 1/4L . The pair went well clear of the third and visually it looked a very good trial. Harzand had won his maiden a few weeks before at Cork by 16 L’s and both runs were on heavy ground so there’s every possibility both will relish the surface here today. The ground today may just slightly favour Idaho. In an open year we’ll rely on the Ballsax as the best trial and back both Harzand and Idaho each way. 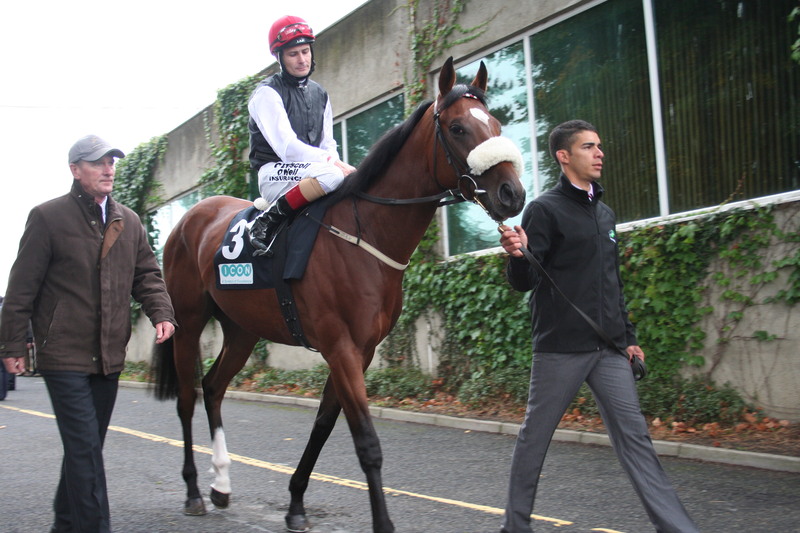 John F Kennedy on his way out to win the Juvenile Turf Stakes at Leopardstown last year. Without a doubt this race will change the ante post market for the Derby in a big way. Inconclusive trials to date have left the market at sea in terms of finding a candidate worthy of commanding the market. The Dante has a rich tradition in pointing to top class three-year olds with the likes of The Grey Gatsby winning last year however you have to back to Authorised in 2007 to find the last Dante winner to triumph at Epsom. It’s hard to believe that the current favourite for this race and also the Derby itself made his racecourse debut two days after christmas on the all-weather at Wolverhampton, hardly orthodox. He’s by Halling who won the 1996 Cambridgeshire handicap before winning 5 G1’s (2 Eclipse’s, 2 Internationals and a Prix d’Ispahan). He was green but none the less impressive at Wolverhampton where he came from last to first to win easily. On his turf debut in a handicap he destroyed the field at Sandown winning by 12 L. He’s trained by John Gosden and will be ridden by Frankie Dettori a team reunited this year who were responsible for that same success with his father all those years ago. There has to be a question mark about him lasting 12 f although he’s proved himself over this 10 f already at Sandown. Golden Horn also from John Gosden’s stable put himself in the Derby picture by winning the Feildan Stakes. He’s 4/1 here and a 20/1 shot for the Derby, five times the price of Jack Hobbs for Epsom. 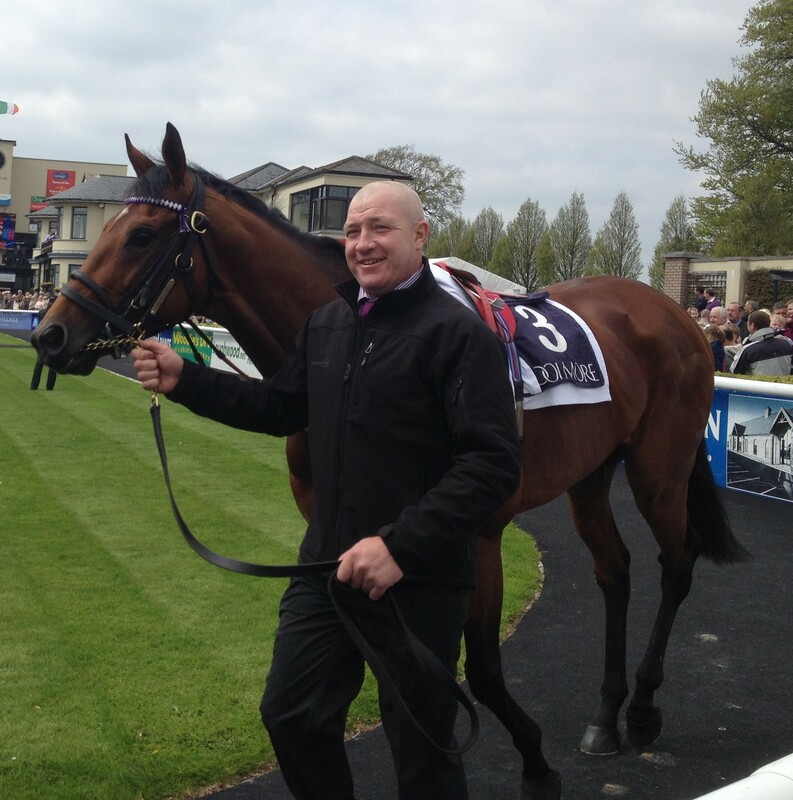 John F Kennedy and OL’ Man River travel from Ballydoyle both on retrieval missions. 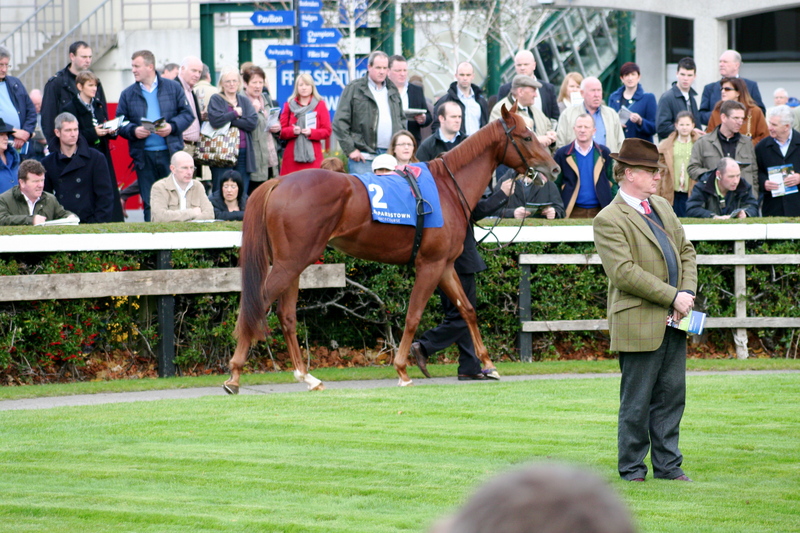 The former didn’t fire in the Ballysax and the latter trailed in last in the Guineas. Both runs are best ignored. 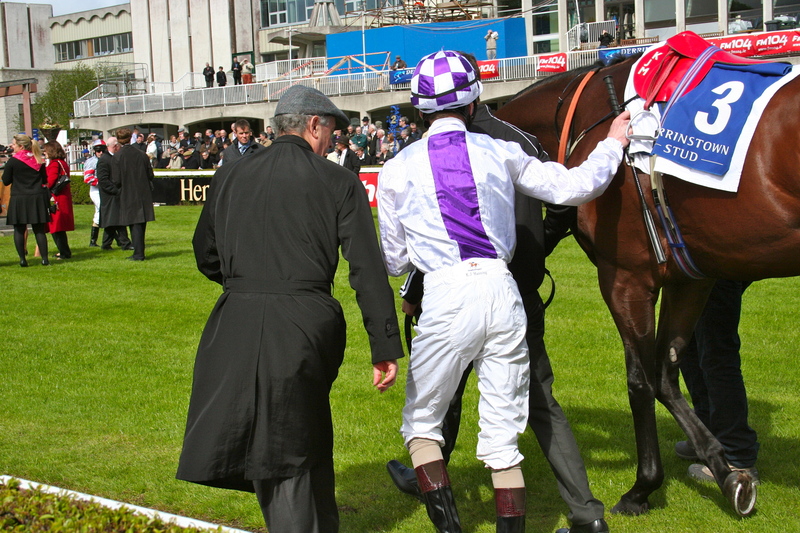 They both showed their class last year in winning at Leopardsown and the Curragh respectively. 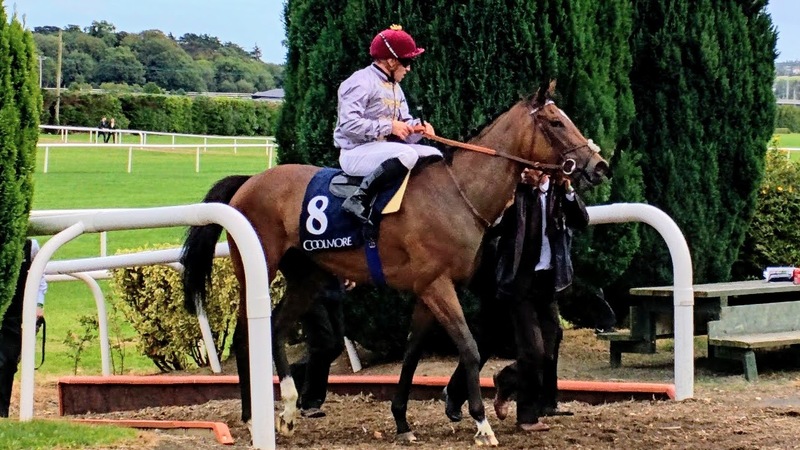 Nafaqa’s second to Elm Park in last years Royal Lodge will give connections hope as the latter went on to win The Racing Post Trophy, form that looks good after Celestial Path’s (third in The Racing Post) good 5th in the Guineas. This race will establish a short price favourite for the Derby. 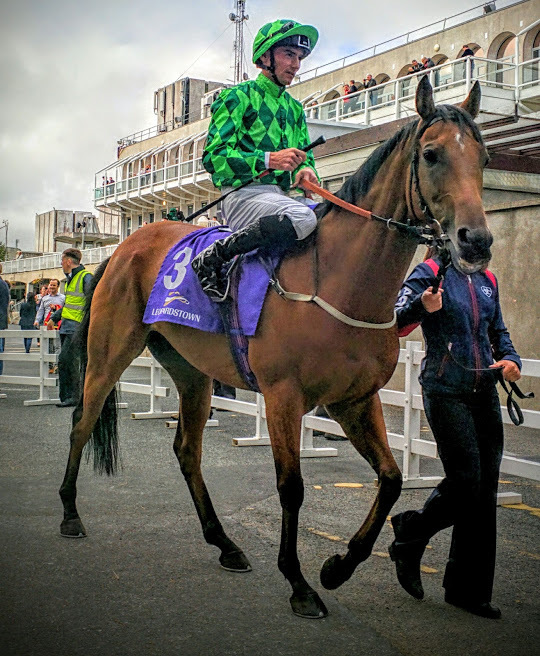 John F Kennedy looked to fill the part last year in the Juvenile Turf with a convincing display that marked him out as Ballydoyles number one for Epsom. 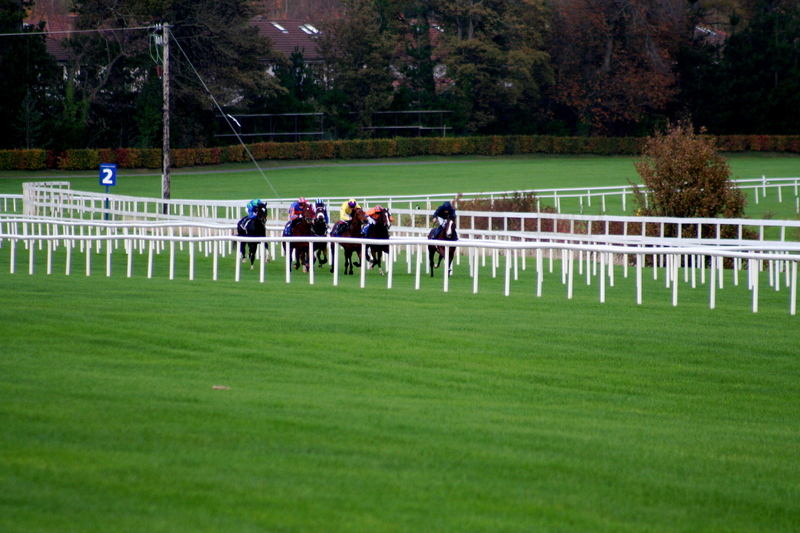 The ground at Leopardstown for the Ballysax was awful and he should be forgiven the run. He will be a different animal today.